Calories: 248 % Daily Value Ideal For: Adults and picky children who make a fuss during breakfast. Good way to pack in protein for the rest of the day. 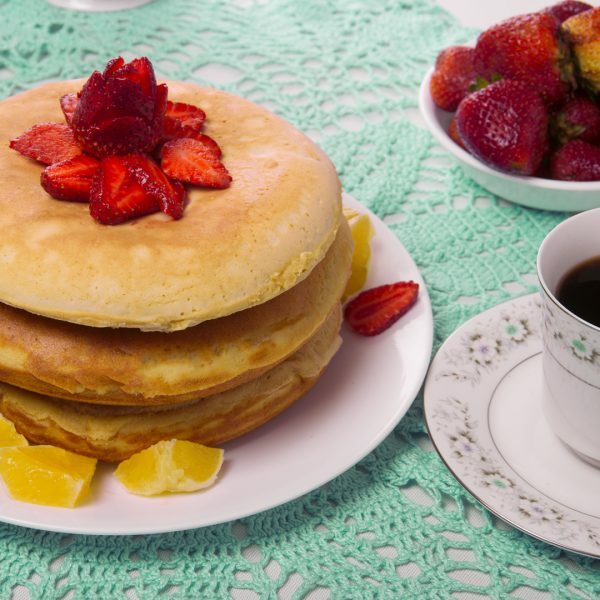 Pancakes are a very popular breakfast choice, they brighten the mornings of adults and children. There are many options and versions to enjoy the pancakes, try this delicious version of cinnamon-flavored, fluffy pancakes. In a smaller bowl, beat eggs, milk and oil by hand until a homogeneous mixture is obtained. Add the egg mixture to the dry ingredients and mix with a hand whisk until everything has just come together. Pour a part of the preparation on a Teflon pan greased with a little butter and cook until brown on both sides. Repeat the process with the rest of the mixture. Two pans can be used to speed up the process. Serve and enjoy with the preference topping.